Item # 312648 Stash Points: 3,995 (?) This is the number of points you get in The Zumiez Stash for purchasing this item. Stash points are redeemable for exclusive rewards only available to Zumiez Stash members. To redeem your points check out the rewards catalog on thestash.zumiez.com. Get a pack with enough storage for any adventure with the Sprayground Wings Black Cross Body Bag. 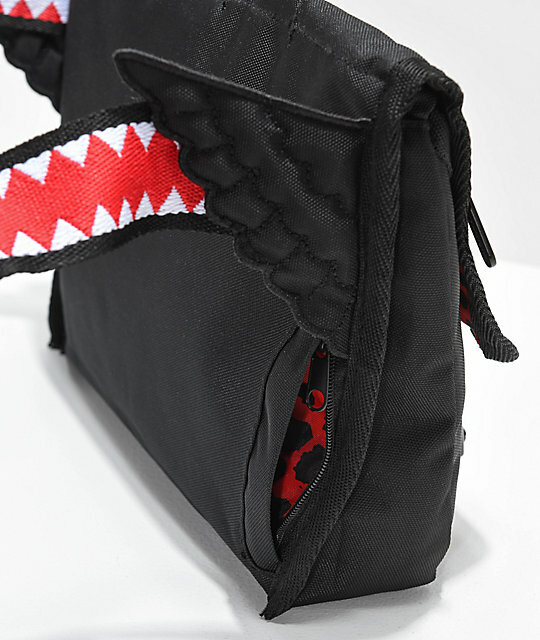 Black throughout the exterior, this bag is highlighted by an embroidered red and white tooth pattern throughout the waist and flap closure strap for original style and flair. 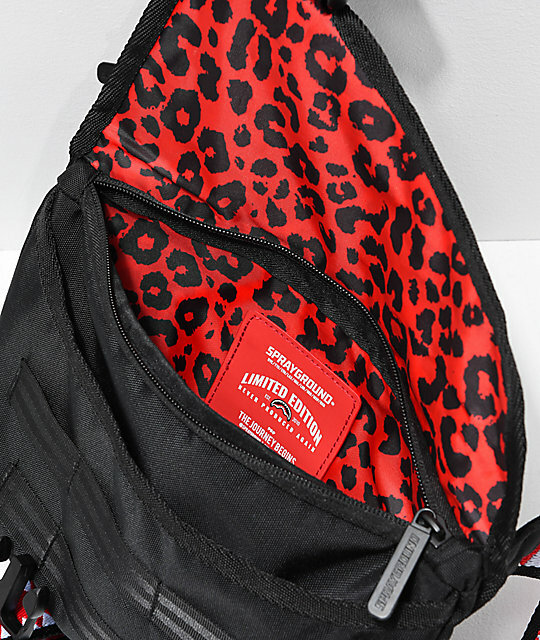 6 loops at the front along with four pockets throughout with zip closure maximize storage and a red and black leopard print interior adds even more wild flair. 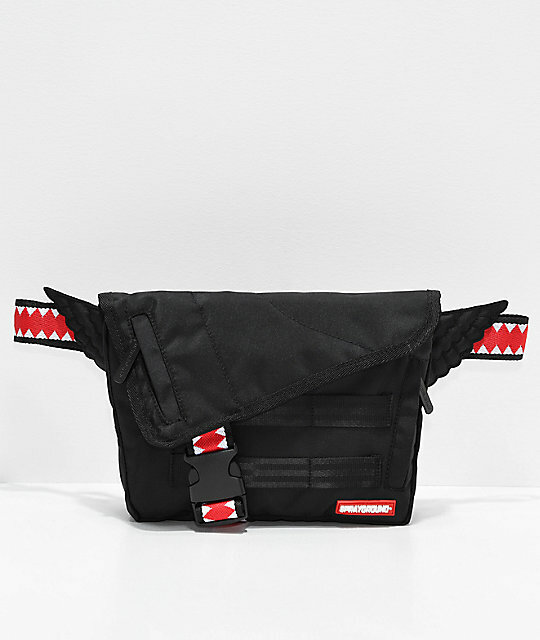 Wings Black Cross Body Bag from Sprayground. Red and black leopard print interior lining. Rubber Sprayground logo patch at the front. Zipper main compartment with a pouch pocket in front of it and smaller pockets on and below the flap closure. 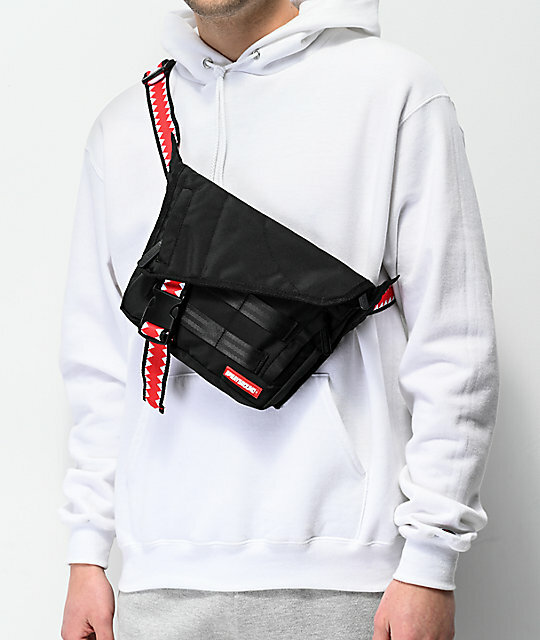 Hidden pocket with zip closure at the back. 6 loops for storage at the front below the flap closure. 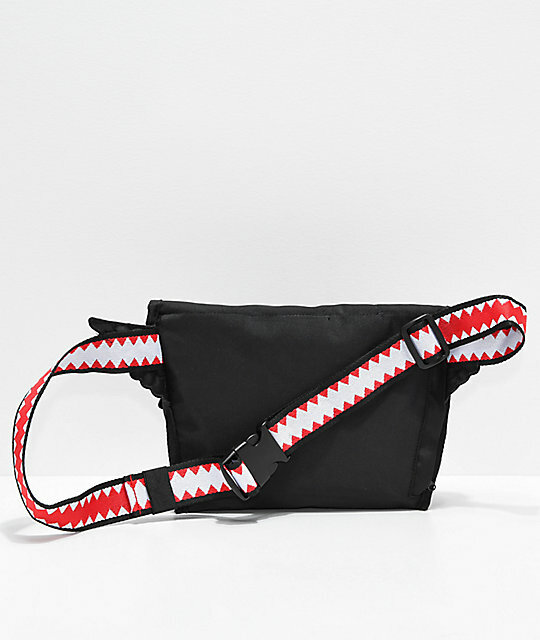 Adjustable web waist strap with a red and white embroidered tooth pattern throughout and wing detailing at both ends. 7" (H) x 9" (W) x 3" (D) | 18cm x 21cm x 8cm.